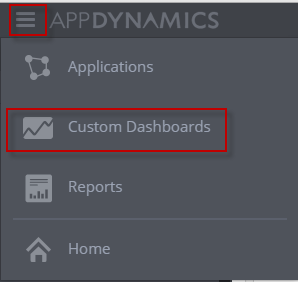 Custom Dashboard is one of the most powerful features of AppDynamics. It lets you group monitoring metrics that are relevant (and make sense to the user) in one central dashboard. Custom Dashboards are ‘read only’ elements. So, you don’t have to worry about users updating any Appdynamics configuration. You can build sophisticated dashboards with drill down capabilities. What good is an APM solution without a solid Alerting system that is easy to configure? Appdynamics alerting system is very robust with lots of options to customize. First of all, AppDynamics comes with several pre built alerts with thresholds that are dynamically learned. This means without configuring anything, you get out-of-the-box alerting. This default alerting is visible in the Dashboard via the coloring scheme (for example, a node icon turning RED). However, the default alerting is not enough for most cases. You would want to customize the default ones, and perhaps add your own.